John Waters Is the Godfather of Baltimore’s Art SceneThe Prince of Puke’s museum retrospective inspires six artists to reflect on his transgressive influence on his hometown. The Salvation Army Is Opening Affordable Grocery Stores in Food DesertsThe first location opened today in northeast Baltimore. The Keepers Prompted Police to Create an Easier Way to Report Sexual AssaultBaltimore police created an online form for survivors to more easily report abuse related to the film. Black Lives Matter Activist DeRay Mckesson Joins Baltimore Mayoral RaceWith 13 Democrats running, it could be an uphill battle. A Food-Waste Start-up Just Got $100,000 on Shark TankHungry Harvest hit pay dirt with its ugly-vegetable delivery service. Ball-Biting Maryland Cop Has to Turn In His Badge and GunThis is what happens on Cinco de Mayo at Baltimore’s Looney’s Pub. Restaurant Realizes Too Late That a Caitlyn Jenner Menu Joke Was a Bad IdeaIt hasn’t even apologized for it. Martin O’Malley Gives Hillary Clinton Someone Else to Run AgainstThe third entrant in the Democratic primary faces an uphill struggle to define himself with voters. New Study Shows Riots Make America ConservativeNonviolent protests work. Violent protests cause a backlash. Why Do America’s Race Riots So Precisely Mirror Each Other?National amnesia, generation after generation after generation. How Playing in an Empty Stadium Affects AthletesIt can be helpful for the ones who aren’t good at blocking out distractions. Anchors vs. 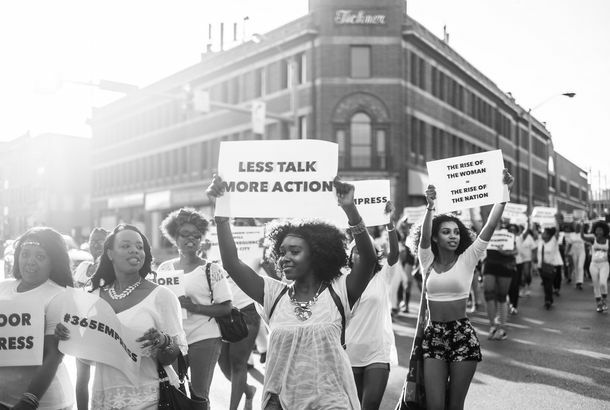 Activists: Baltimore EditionAnchors and activists use the Baltimore protests as an opportunity to school each other. O’Malley’s Baltimore Protest Visit BackfiresHecklers blamed the former mayor for worsening relations between police and the black community. Last Night There Was a Riot in My NeighborhoodFewer neighborhoods had been destroyed than I expected. But the city still looks terrible. Should Gay-Marriage Opponents Be ‘Shunned’?A school’s liberal community is in an outcry over a Facebook post. Hooters Fired a Black Waitress Because She Dyed Her HairThe company will have to pay her $250,000 for racial discrimination. Baltimore McDonald’s Combat Incoming Shake Shack With Old BayIt’s time for Charm City to choose sides. Ex-Employee Accuses Hooters of Racial DiscriminationFarryn Johnson says her hair coloring landed her in trouble. Male Gaze: Ray Rice’s Winning SmileA football player with arms (and much more) that are meant for hugging. Shakedown: Seizure-Faking Restaurant Customer Caught by CopsThe crook wanted free meals. Where to Audition for Bobby Flay’s New Show“America’s Next Great restaurant” and “Worst Cooks in America” are casting soon in L.A.
Westfield Culver City Debuts; Leafy Greens Offer Highest Risk of Food IllnessCulver City debuts the rebirth of its biggest mall, while farmer’s are concerned new legislation will sap their profits. Trey Parker and Matt Stone Have a New Kenny (And Spenny)Plus industry news on Mary J. Blige, Paul McCartney, and Tom Shadyac.